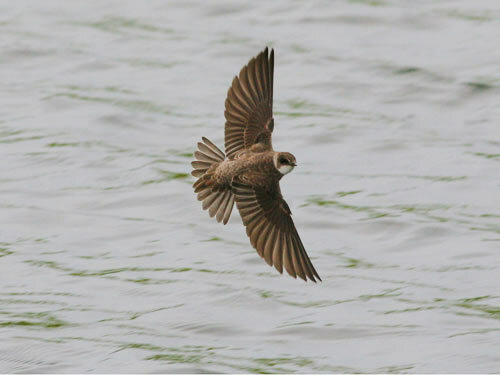 Brown above, and white below with distinct brown band across upper breast. Band often extends in a line down center of breast. White throat, with white curving around rear border of ear patch. Habitat: Occurs in a variety of open habitats, especially grasslands and croplands. 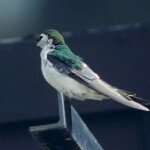 Often found near water, and is dependent on suitable potential nest sites in form of vertical banks of clay, sand, or gravel that can be excavated by the birds. 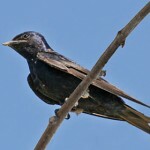 Where in Nebraska: Common spring and fall migrant and summer resident across the state, becoming less common westwardly. 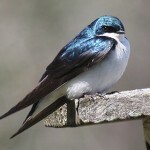 Fun Facts: The scientific name for the Bank Swallow, “Riparia” means riverbank.